In 1934, the Union Pacific Railroad introduced a revolutionary new passenger train by sending it on a whirlwind tour of the country, stopping at more than 65 cities and covering more than 12,000 miles en route. The streamlined, high-speed M-10000 fascinated millions of visitors with its innovative appearance, unique aluminum alloy hull, and distillate engine power plant. Promotional events were staged and special souvenirs were distributed to generate interest and excitement about this new, modern marvel of travel. Pentrex, in cooperation with the Union Pacific Historical Society, has carefully computer-enhanced, re-edited, and added audio to the original silent film produced by the Union Pacific Railroad promoting this significant milestone in passenger train development. Now you can step back to 1934 to experience the M-10000 in action and the gala events surrounding its debut. View photos of the tour, see the throngs of visitors and dignitaries, and take a look at the memorabilia created for it. The film and materials used in this production, which have rested in archival vaults for sixty years, are now available for your enjoyment. Steamboy (Revere MA US) on 2018-04-25 15:59:15. 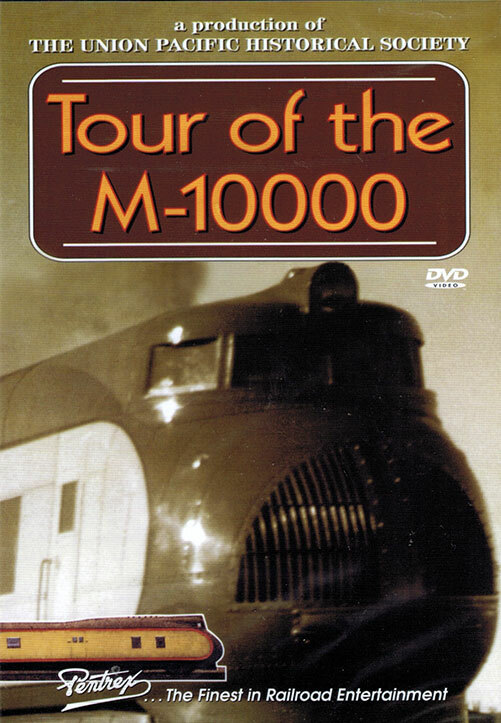 Originally released on VHS in 1996, this classic program chronicles the first diesel powered passenger train throughout the early 30s. Eventually some scenes from this were later shown in the Streamliner collection.